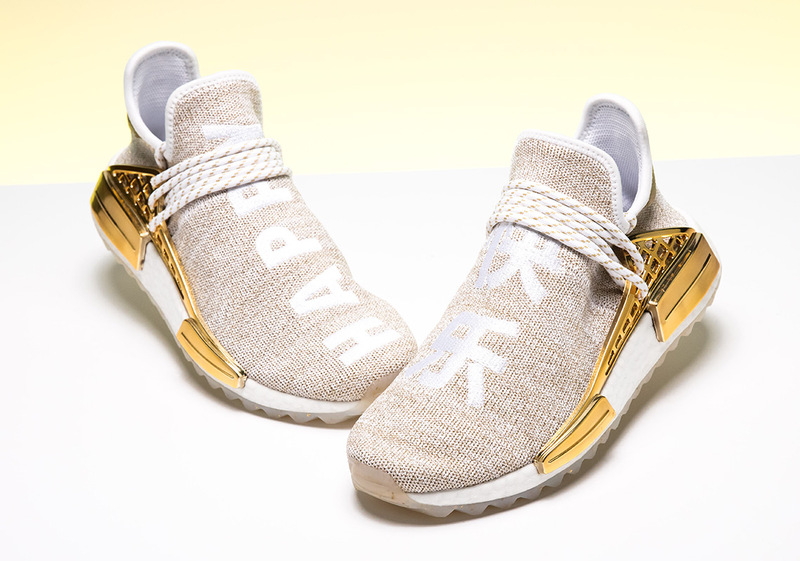 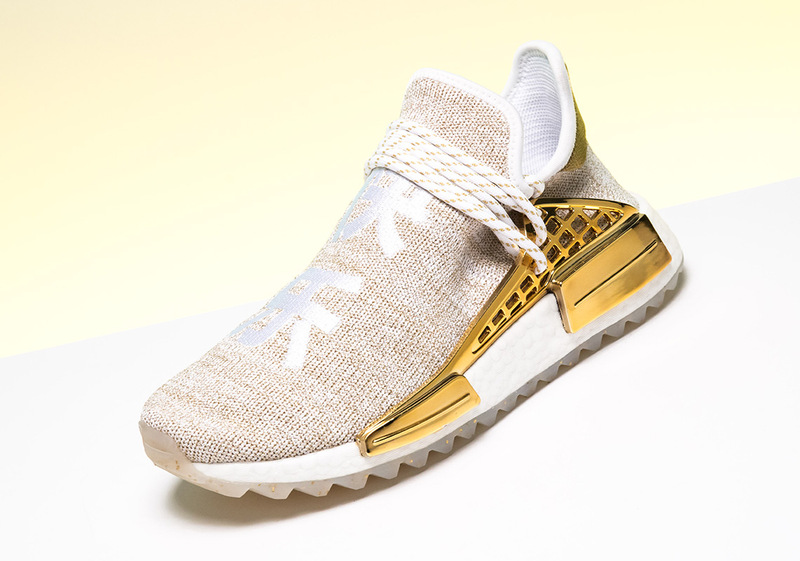 Last week we introduced you to the “China Exclusive” Pharrell x adidas NMD Hu collection that takes its inspiration from Yin and Yang as well as four elements found in nature. 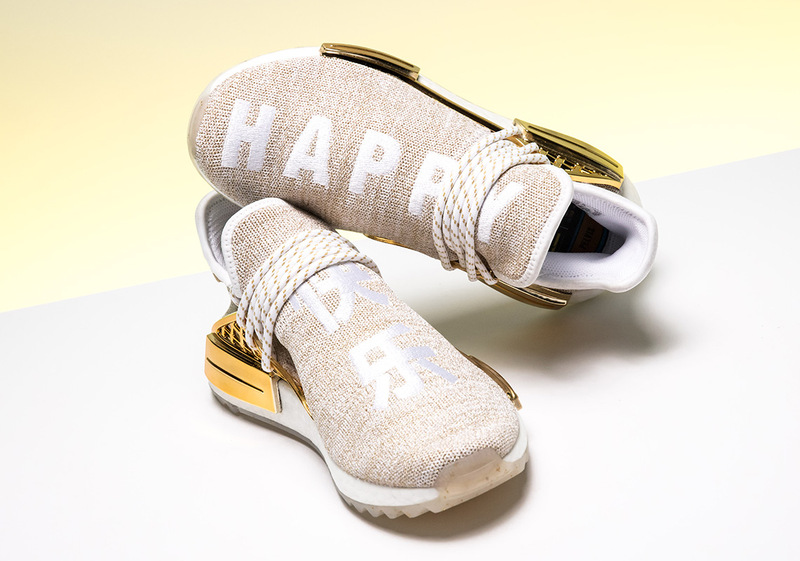 While all four iterations will be highly sought after, it is the gold-dipped friends and family pair that highlights the capsule. 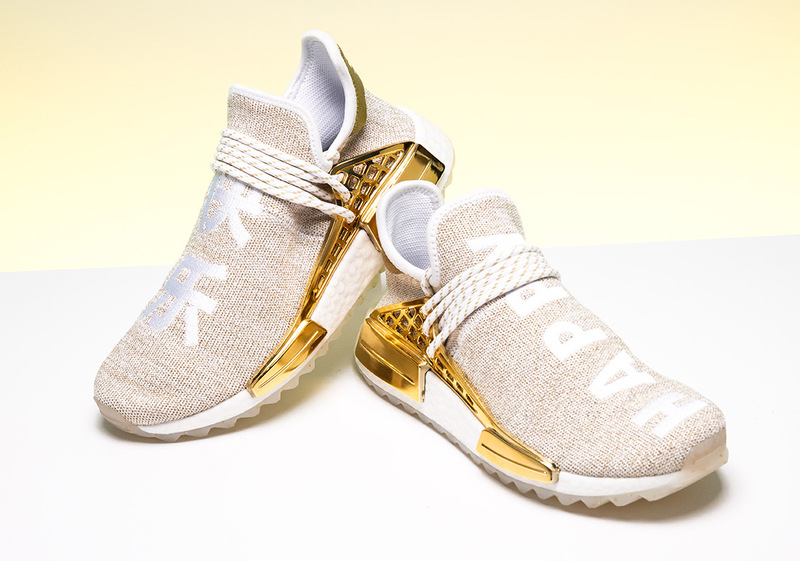 Its metallic gold accents are clearly this sneaker’s centerpiece, but its upper comes embroidered with “HAPPY” on the right sneaker and its corresponding Chinese character on the left. 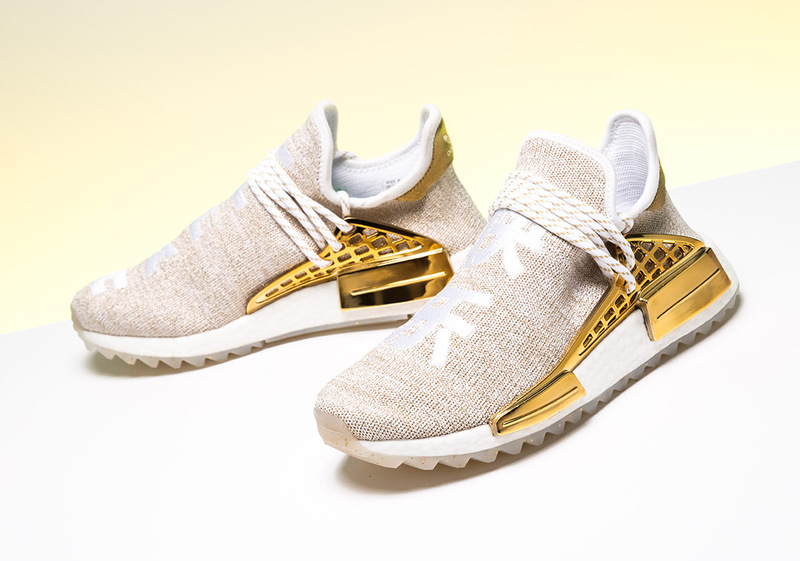 Enjoy a detailed look at this F&F NMD Hu selection below and if you are looking for some serious heat to add to your collection, you can pick up a pair right now at Stadium Goods.